Managing residential and commercial construction projects is a serious job and specialising in construction management is a sure way of getting into the field. Managing a team, planning, designing and doing basically everything from start to finish is what is required for this job. Getting into the position will require a person to get projects, manage them and complete them in the required time under the approved budget limit, which will test all your skills. 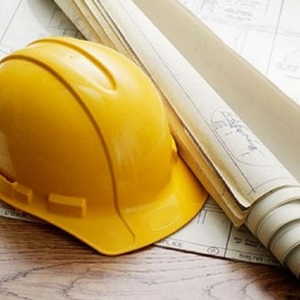 A career in construction management is not hard to find and can be applied for in places all around the world. Go through a number of job listings that you find on the internet or newspapers, in order to see the educational and skill requirements that employers ask for when it comes to a career in construction management. If there are certain formalities that you must undergo to meet these requirements then that should be your first goal. Some jobs, which are usually the higher paying ones, will require that you have a degree specialising in construction management or is at least related to the field. It is pretty obvious that they will not be expecting to hire a doctor for the job. You may not be able to apply for some of the bigger positions due to lack of experience, which is why it is a good idea to go for the smaller jobs first and work your way up to the top. Try and ask family and friends to see whether they know of any openings in the field of construction management. Getting the required experience is obviously a major factor in being hired to a management position because only those who have the years of working under their belt will know how to properly get the job done. Going back to school is a great way to boost your resume and make it stand out of the crowd in comparison to thousands of other applicants from all around the world. In construction management, some employers will also like their managers to have a degree in management like an MBA, so trying to go back to school and getting it done could mean opening up a whole new world of opportunities for you. Figure out what most employers demand from applicants and try to go the extra mile to show your dedication.